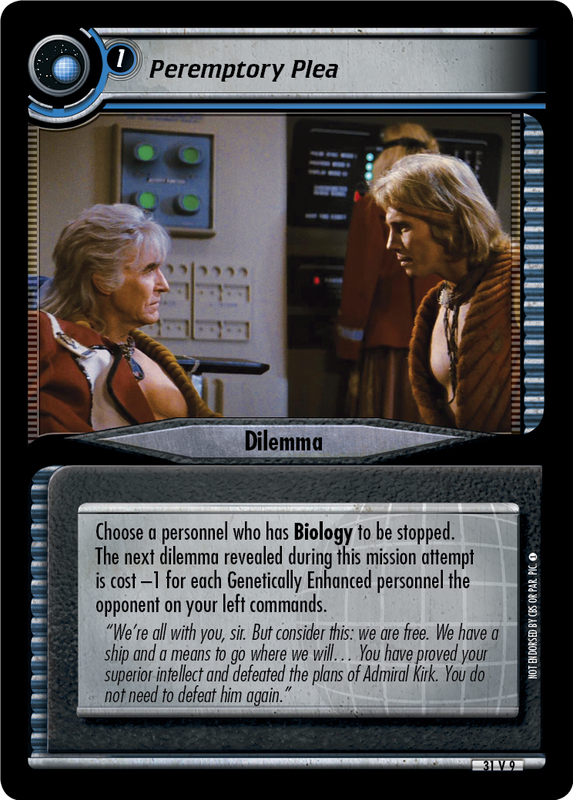 Unless you have 2 Engineer and 2 Exobiology or Transporters, 2 Treachery, and Cunning>34, randomly select two personnel to be stopped and place this dilemma in your core. 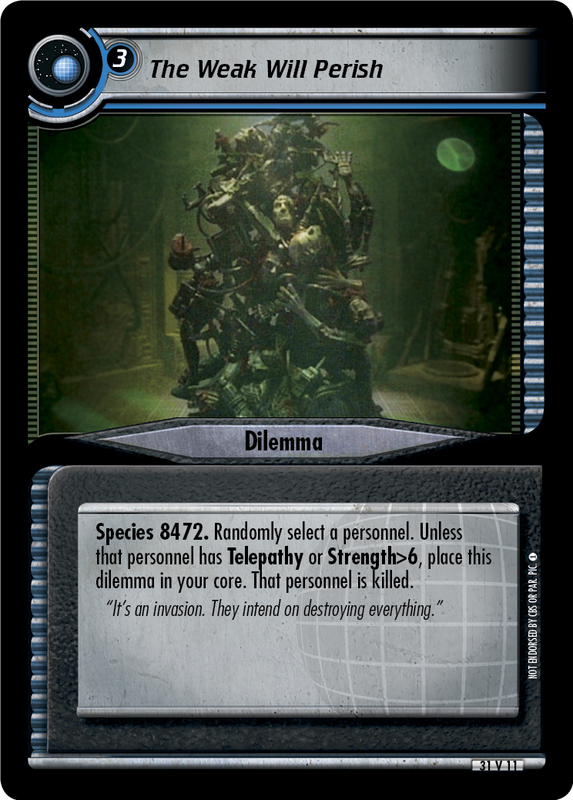 At the start of each of your turns, discard the top card of your deck. 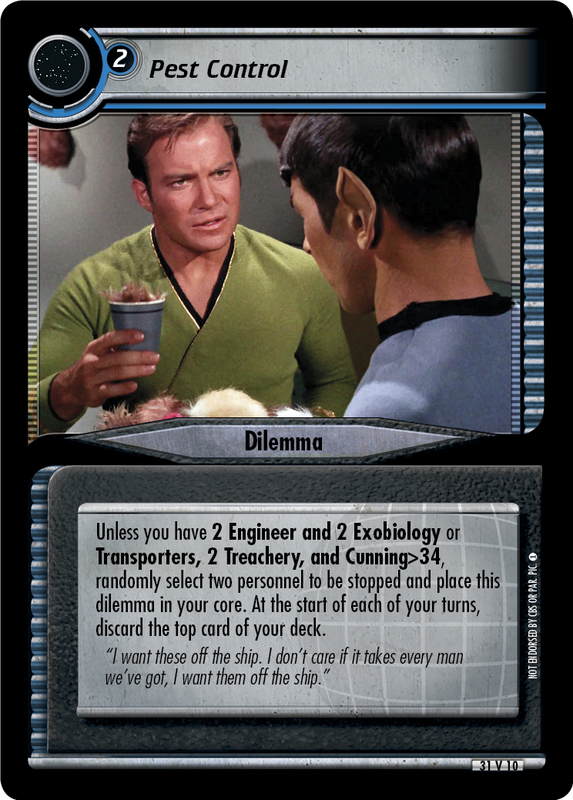 "I want these off the ship. I don't care if it takes every man we've got, I want them off the ship."